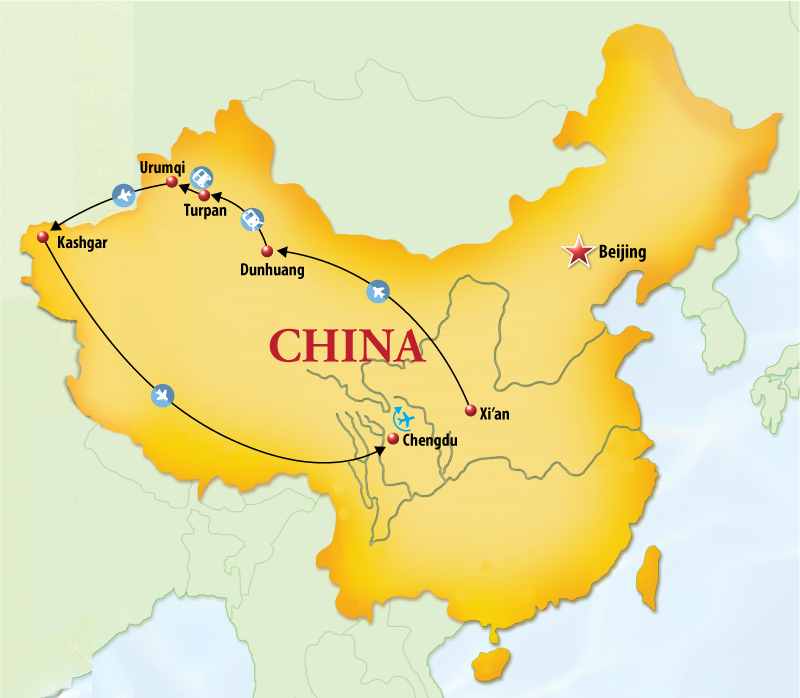 China Travel. CTS. China Tours. Silk Road. Arrive in Xi’an. Transfer to your hotel. Terra-Cotta Warriors and Horses Museum, Shaanxi Provincial Museum. The Tang Dynasty Dinner Show. Ancient City Wall, Big Wild Goose Pagoda. Fly to Dunhuang. Transfer to your hotel. 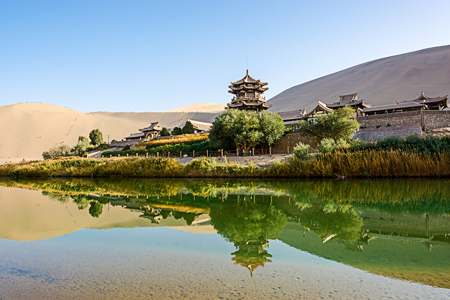 Mogao Grottoes, Crescent Moon Lake and the Singing Sand Dunes (optional camel ride). White Horse Pagoda, drive from Dunhuang to Liuyuan, passing sections of the Great Wall Take express train to Turpan. Transfer to your hotel. Gaochang, Flaming Mountains, Grape Valley and the 2,000-year-old Karez Irrigation Tunnels. Cultural Show of Uygur Songs and Dances. Suliman’s Minaret and a local village, the ruins of Jiaohe City, Turpan Museum. Drive to Urumqi. Check in to hotel. Heavenly Lake with a visit to a yurt and a boat ride on the lake with some light hiking. Fly to Kashgar. Transfer to hotel. Bazaar, Id Kah Mosque and Abakh Hoja Tomb. Fly to Chengdu. Transfer to your hotel. 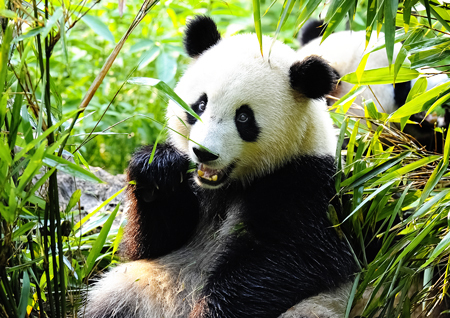 Panda Breeding Center, Dufu Cottage, Jinli Street. Farewell to Chengdu. Transfer to the airport. 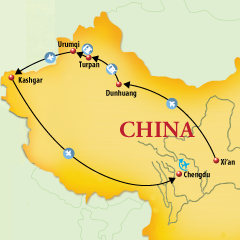 There are many optional excursions that can be added to a Silk Road Private Tour. Call for suggestions.